Learn tools to transform issues and situations in your life. Ground and raise your self-awareness through rhythm. Release stuck energies and burdens. Understand the levels, symptoms and challenges of existence. During this unique retreat you get to experience two different approaches to healing. With Johanna you will explore and transform issues you are facing right now in your life as well as an ascension journey to the heart of existence. With Aaron you experience the world of drumming and a deep connection with the rhythm of the the universe. Space is limited and this workshop is kept small to allow us to pay attention to individual challenges and help you transform them. Learn easy to use tools to transform challenges into opportunities for growth. Get to know yourself better and raise your self-awareness. Understand the levels, challenges, and symptoms of personal evolution and ascension. After this workshop you will find that your energy increased, you will feel lighter, less burdened and equipped with new tools to handle life’s challenges. The outcome of any event is influenced and often determined by our response to it. You will become aware of patterns that influence your reaction to situations. Learn how to rise above situations to get a better view, step out of reaction and into response. Experience all your senses, emotions, and energy center combining together into one big heart opening experience. 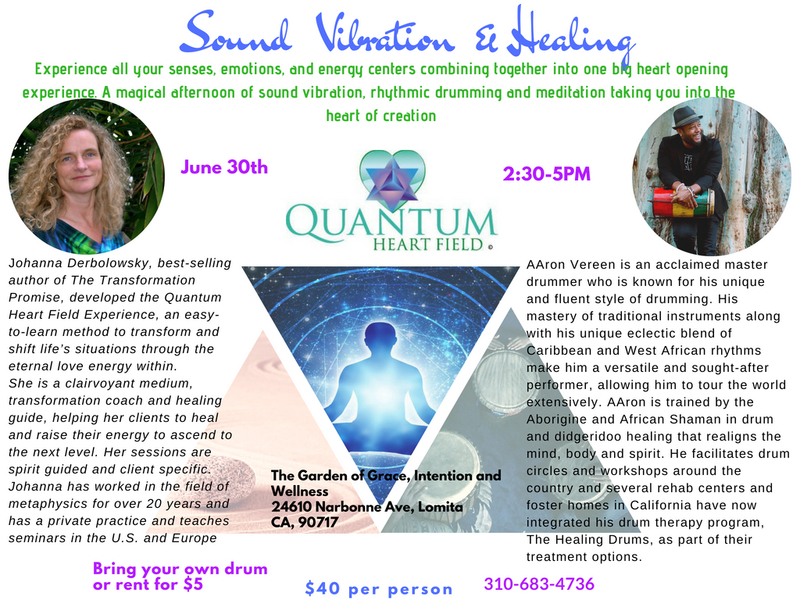 A magical afternoon of sound vibration, rhythmic drumming and meditation taking you into the heart of creation.